The entire concept of bounce rate as defined makes little sense. If you write a comprehensive post about what someone wants to read, they have no need to go to another page. So the better you target your pages, the worse your bounce rate will be. You CAN do something about it. sites break up content into 2, 4 or even 10-12 pages. time on site, and reduces bounce rate. This issue may also affect ecommerce stores. If someone does a search and lands on the right product page the first time and your site has great trust and free shipping, that person may not need to see anything else until later when they come back to buy. But still a bounce. Adrienne Smith’s post today about multiple things Google mentions a fix for bloggers to implement that uses either time on page or whether someone scrolls down on the page instead of whether your visitor clicks on another page. Lisa wrote a post on Website Bounce Rates on InspiretoThrive. Tim Bonner shared his thoughts on improving bounce rates here. Go to Mike Fulcher’s post to copy the code for his “scroll technique” to implement adjusted bounce rates. It is the center section of code for set timeout that changed. The top and bottom sections stayed the same. If you use Genesis you can use my post How to Add Analytics or Verification Codes to WP Blogs Using Genesis Themes to find this code. 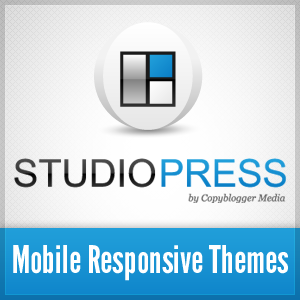 Other WordPress themes may have something similar, but you need to be considering moving to a mobile responsive theme. While all WP sites will display on a mobile device, mobile responsive themes format your content based on monitor sizes. You can see how your site looks in mobile devices and compare it to blogs running mobile responsive themes by using the FREE mobile responsive tool at Genesis. I did run Thesis for years, but now that it is really important to be visible on mobile devices because their use has grown enormously, the serious bloggers I know best have moved to mobile responsive Genesis themes. I use Prose; Kristi Hines uses Focus; major blogs like CopyBlogger and Problogger both use Genesis. If you’re serious about your blog, Genesis is “the” theme to be using now. Adrienne also shared this great video from Lisa Irby of 2 create a blog: an entertaining way to understand the recent Google changes. We’re all always so busy, but we need to take time out to collaborate. Connecting first on Twitter and then on Skype is the method that works best for me. And I make sure I support my favorite bloggers by feeding their new content to @GrowMap on Twitter. Using Twitterfeed has served us well for many years now. It got a dozen of us recognized by Cornell University and Yahoo! Research and it still benefits us all today. I feed over 80 blogs to my account and never get anything but compliments on the quality of the content I share. You can too. Full how-to in How to Use Twitterfeed. Want to meet other bloggers who support each other? Send me a regular tweet @GrowMap. Or add me on Skype (username growmap). There are hell lot of plugins available to reduce the bounce rate. I wonder would i get benefit from it or is that a risk. Those plugins somehow alters the analytics code. Is there a risk in modifying analytic code? nice. one of my client has been experiencing that bounce rate issue where the session duration is 0:00:00. no human is fast enough to read the content or even realize it’s not the site for him in less than a microsecond. most of that spammy traffic is showing ‘direct’ as its source. i’ve always wondered. time i fix this issue up. Have you seen the Incapsula bot research? On many blogs, 80% of traffic is bots trying to hack their way in or leave spammy comments. See my post on that and how I keep them out at https://growmap.com/use-a-cdn-keep-out-hackers/. That post links to the research Incapsula did at http://www.incapsula.com/blog/bot-traffic-report-2014.html. That was a useful post! But here\’s a simple tweak using which you can reduce your blog bounce rate drastically..This would be really helpful for all the bloggers because Google might include this as a factor to provide Page Ranks in future..! Abinav would love you to read ..Reduce Blog Bounce Rate Drastically with a simple Tweak! While this fix will let you see a more accurate bounce rate, I do not know whether it will have any impact on what Google actually uses when ranking a site. I needed this reminder huge. My bounce rate has always been bugging me and I have been working on better interlinking within my site. Amazing how a little extra link with relevant information can transform those stats. Im still learning. I never realized how I could go through every page I had and see exactly what the visitor could see. I definitely relate to how I must make it easily determinable what the visitor is there for. On my reviews pages I went back and made much bigger product pictures and more informational data with headings and my bounce rate instantly is dropping in only days! hey Thanks for the information (Specially for the external link code) this code will definitely be helpful for me as my website has complete information regarding the product on the single page that’s why the bounce rate is around 80+ % even if they have spend a good amount of time on the page so i will definitely going to use this code. Earlier my bounce rate was always 75%+ , after applying your methods my bounce rate decreased to 60% and i hope it will decrease more. thanks for the great post it helps a lot to me. Nice post, This is really important for my blog. My web bounce rate is 45 % Is this good ? My blog bounce rate is 50%, it is good or not. please give me some necessary information. please visit my blog and give me some tips to improve. Well, I must say well written and unique article. I use interlinking method to decrease bounce rate. My web bounce rate is 65% . Is it good? A great article shared and video is just amazing with great knowledge.I get to know many thing that will surely help me in my future of blogging. Thanks for this post Gail. These changes will hopefully keep people my website and pages longer. I must try and convert every person I can into customer who visits my website. I just got my Google Analytics setup and noticed my blog posts and webpages have high bounce rates. Very frustrating but I will be sure to adopt these changes to lower the rate. Hi Thanks for this post. I will try implementing the new Google Analytics code, I have high bounce rates on some of my sites but I am pretty sure people are scrolling to the bottom of posts. Glad there is a way to be able to tell this.. I couldn’t agree more with you about Genesis. Thank you this is the first article I’ve read that actually gives something to go on in terms of analyzing the data analytics provides. My site averages around 70% bounce. I’m not sure if this is a bad thing as I have quite a few DIY tutorial pages drawing traffic that probably bounces once they’ve learned how to solve the problem. Typically, these pages will have a bounce rate of 80-90% –though time spent on the pages indicates the content is well-recieved. The video by Lisa is simply amazing . It made me aware o the things that i didn’t know about . Thanks for sharing the information and those links. It’s a great post on how to fix bounce rates. I think it totally depends on the type of website. Few things are to be read and few are to be scanned. If you have a blog which just needs to be scanned for information then certainly bounce rate will always be high. I like Adrienne’s link that you shared in the post. It is really helpful. I like your blog posts. 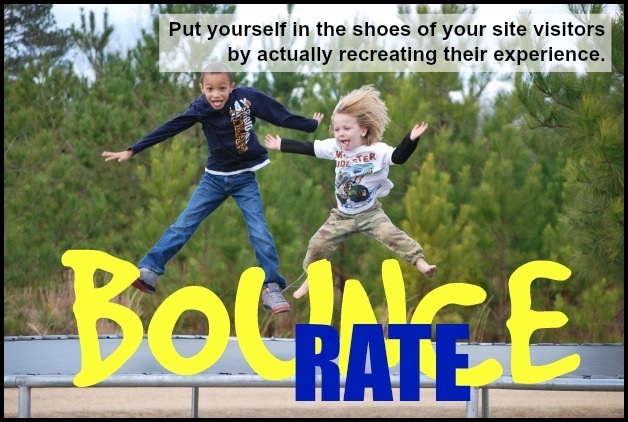 Bounce rate should be controlled as it is a factor that effects your website performance. I always find my bouncerate changes dramatically with every UI change. Sometimes my bouncerate is 90%+ if I am using a single page design, but decreases dramatically when using a simple landing page. All about the design! Thanks so much for sharing my post today and I so agree with you about how Google judges the bounce rate. I have a lot of repeat visitors to my blog and a lot of them have read almost every single one of my posts. I definitely have some loyal readers. So there is no need for them to jump from post to post even if I’m interlinking. So for Google to say people didn’t stick around to check out what they view is important is crap. I was delighted to find Tim’s post several months back and I jumped on that. I’m a lot happier with my bounce rate now because to me it’s a lot more accurate. I’m sure your readers will appreciate learning this as well, I sure did. Appreciate the mention and hope you’re having a great week. See you around.